Most notably, the Office of the Superintendent of Financial Institutions (OSFI) instituted a mortgage “stress test” for federally-regulated lenders that went into effect on January 1. Now both insured and uninsured borrowers are required to qualify for a mortgage either at the Bank of Canada’s five-year benchmark rate or two percentage points higher than their contractual rate to ensure they can manage payments if interest rates rise. While it’s tempting to become skittish during a slowdown, it’s ultimately good news for both buyers and homeowners. Buyers will benefit from a more balanced market as inventory levels increase and speculators pull back. And homeowners who feared an impending “bubble burst” can rest easier knowing that the interventions put in place were explicitly designed to avoid such a scenario—and they appear to be working. Even though transaction volume has slowed, housing prices appear to be holding steady … and, in fact, continue to rise in many markets. While the national average price is projected to decline slightly this year (by 2.1 percent to $499,100), it’s expected to rebound in 2019 (by 3.8 percent to $518,300). The current year decline primarily reflects fewer higher-priced home sales rather than a reduction in housing value.1 The new mortgage standards instituted in January, combined with rising interest rates, has reduced the budget of many buyers who must now seek out lower-priced homes. This is good news for sellers since residents become more incentivized to purchase a home as renting becomes more expensive. It also signals a growing opportunity for investors interested in buying a rental property to see lucrative returns. Unfortunately, buyers who were waiting for a huge drop in prices may be disappointed. A robust economy coupled with strong demand is expected to keep prices high for the foreseeable future. On the plus side, a slower market and increased competition have made many sellers more willing to negotiate. Higher interest rates impact mortgage rates. They also raise the bar for buyers applying for a mortgage under the new stress test requirements. So buyers who are concerned about qualifying should consider acting soon before rates go up further. If you’ve been waiting to buy a home, it may be time to strike. This is the most balanced market we’ve seen in years, which means greater choice and increased bargaining capacity for buyers. But you may need to act soon. Rising interest rates will decrease your purchasing power, especially in light of the new stress-test requirements. And as rental prices climb higher, you’ll be paying more each month for housing. Doesn’t it make sense to start putting those dollars towards building equity in your very own home? 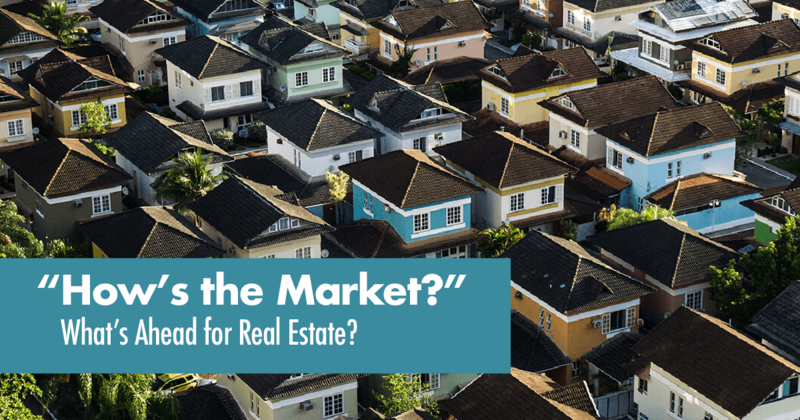 If you’re in the market to sell, there’s good news for you, too. Demand for housing and a strong economy has kept prices high. But the new, more-stringent mortgage requirements have narrowed the pool of potential buyers who can afford to enter the market. Be sure to seek out a real estate agent who utilizes technologically-advanced marketing tactics to reach qualified buyers in your area.